Did you all happen to see this image over on Jenny's blog the other day? Well, I can't seen to get it out of my mind. 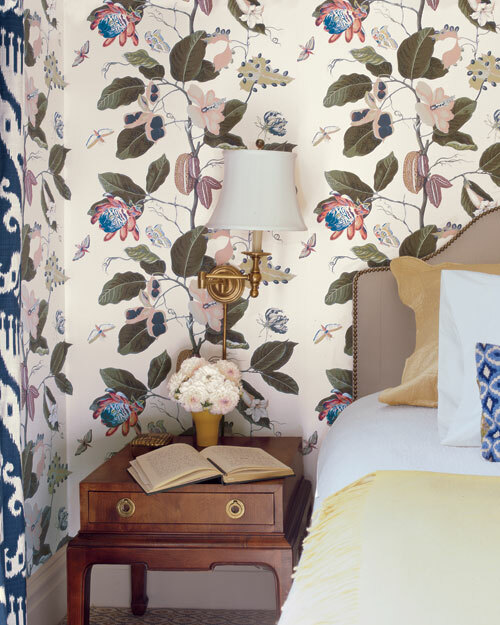 I have fallen head over heels for the Nakai pattern wallpaper in Tobacco by Pierre Frey. I am already imaging it in our next home. Any ideas on how much this paper would set one back? Yes, I am already thinking budgets without having actually bought our next home. ha. 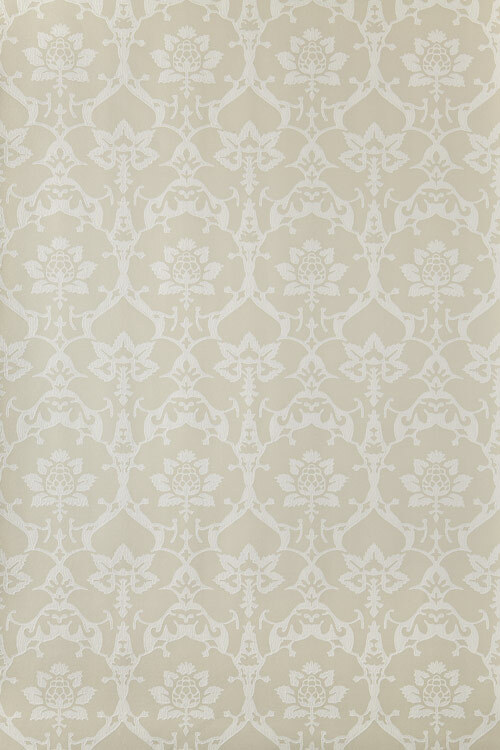 I am pretty much obsessed with Farrow & Ball's new line of Broccato Papers. I would love to be daring and do the master in the navy color way, but in reality I would probably do a neutral pattern. Both quite gorgeous in my opinion. This paper I happened to snag on One Kings Lane quite awhile back. It is by LuLu DK and is Chant in the beige colorway. It is subtle and that is one reason I adore it. I managed to get three double rolls. I did buy it with the intent of putting in our next home. I suppose I will ask a wallpaper master to tell me where it would fit. I am thinking a powder room? I really have no idea how far it will go.